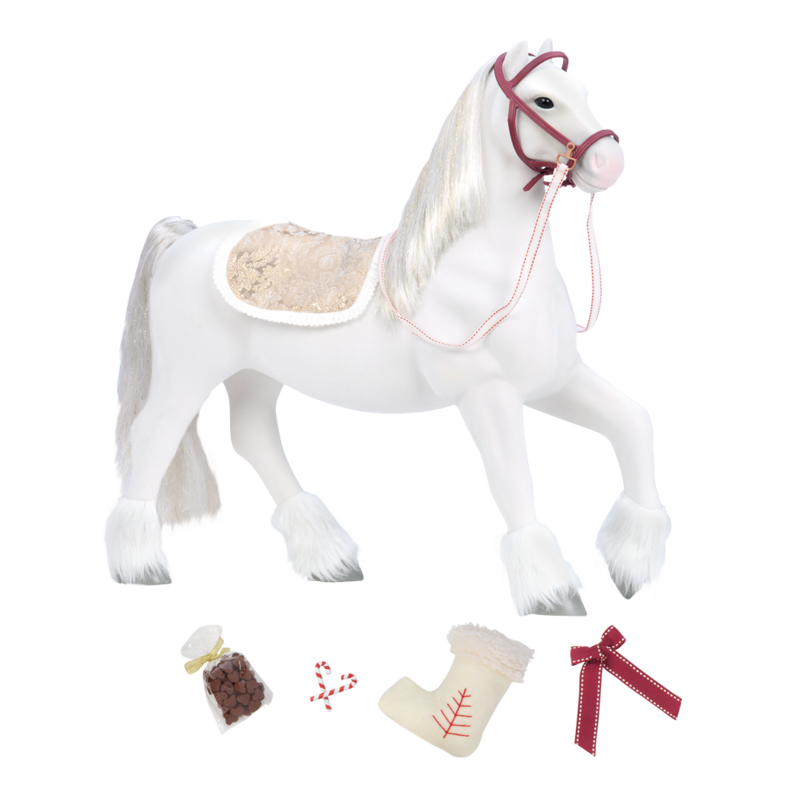 Dash through the snow on this beautiful 20-inch toy horse! Gallop through the snow…or dash, it’s up to you! 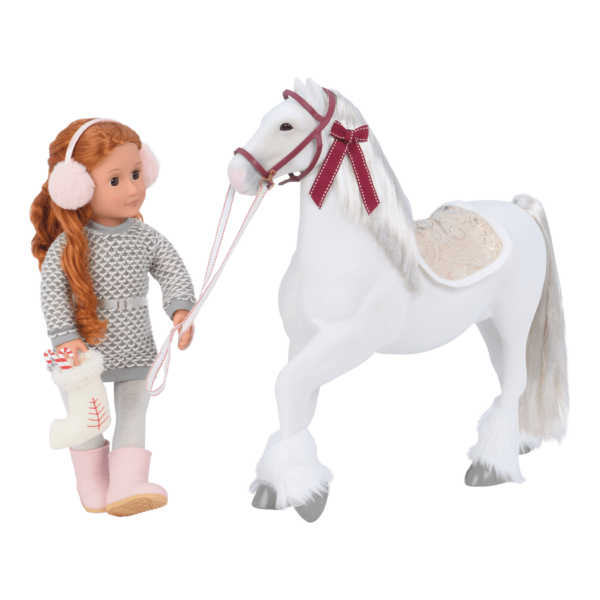 Dashing through the snow with your favorite 18-inch dolls is more fun when you have a beautiful horse to help you, like the 20-inch Our Generation White Clydesdale Horse! 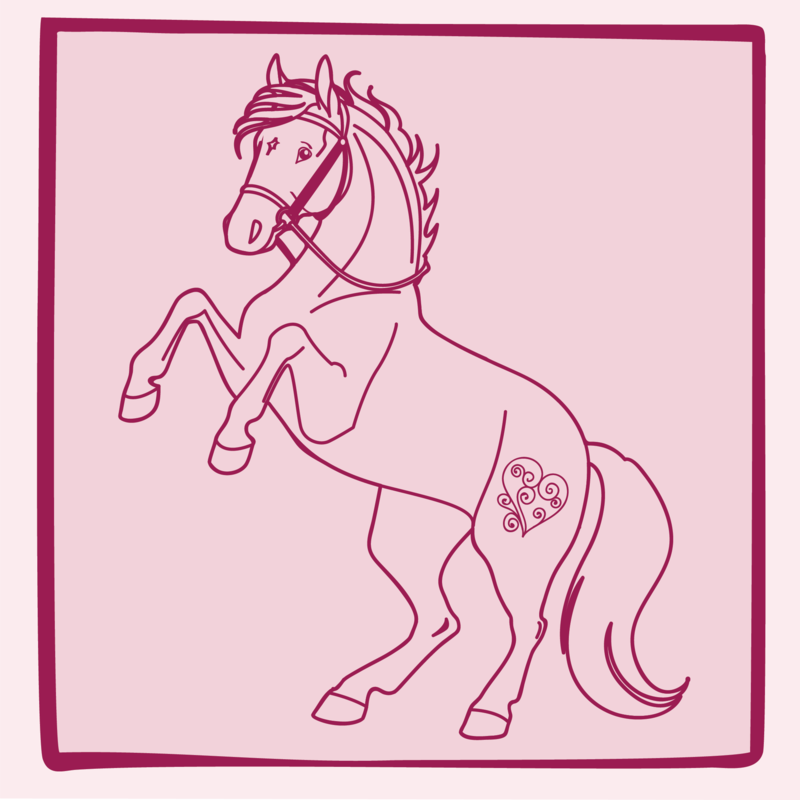 A beautiful horse friend to share your sparkling holiday moments! 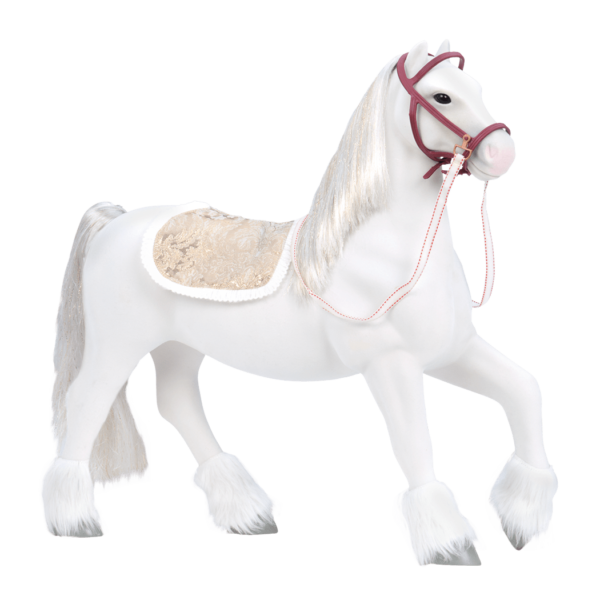 This shimmering white 20-inch toy horse is the perfect equestrian friend for your dolls. 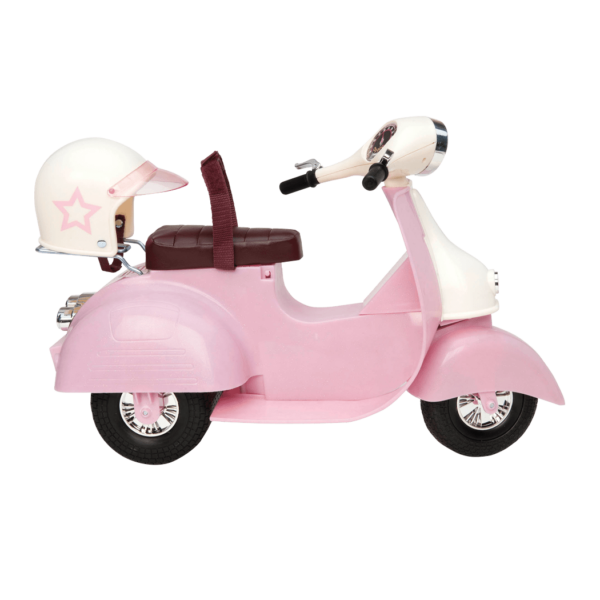 Let your dolls ride on its back, or use the horse to pull a winter sleigh! The Clydesdale horse has beautiful nylon hair that is fun to brush and style. 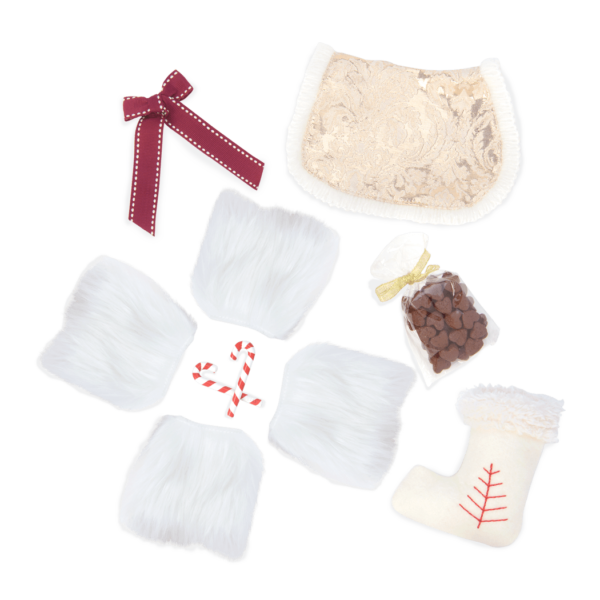 It comes with four fluffy, faux-fur horse booties, a red ribbon to decorate with, a brocade-fabric saddle blanket, and lots of adorable holiday accessories to share with your dolls! Have you met Noa, the doll in the pictures of the Clydesdale Horse? Noa just loves riding the Clydesdale Horse when she is on her way to a holiday party with her friends! 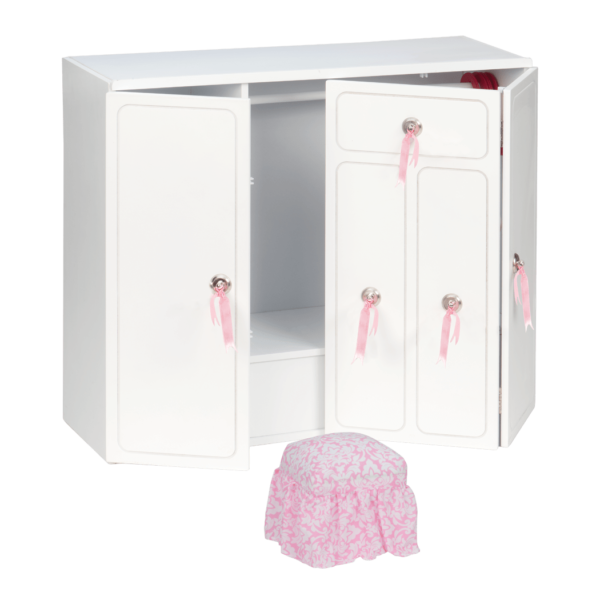 In the pictures, Noa is wearing the Winter Style outfit featuring a gray sweater dress, cute pink earmuffs, and matching pink boots! Horses just love to pull sleighs, and the Clydesdale Horse is no exception. Have even more fun galloping through a winter wonderland with a “one-horse open sleigh” like the Winter Wonder Sleigh! This gorgeous holiday sled comes with a harness for any of your favorite 20-inch horses to pull it along! 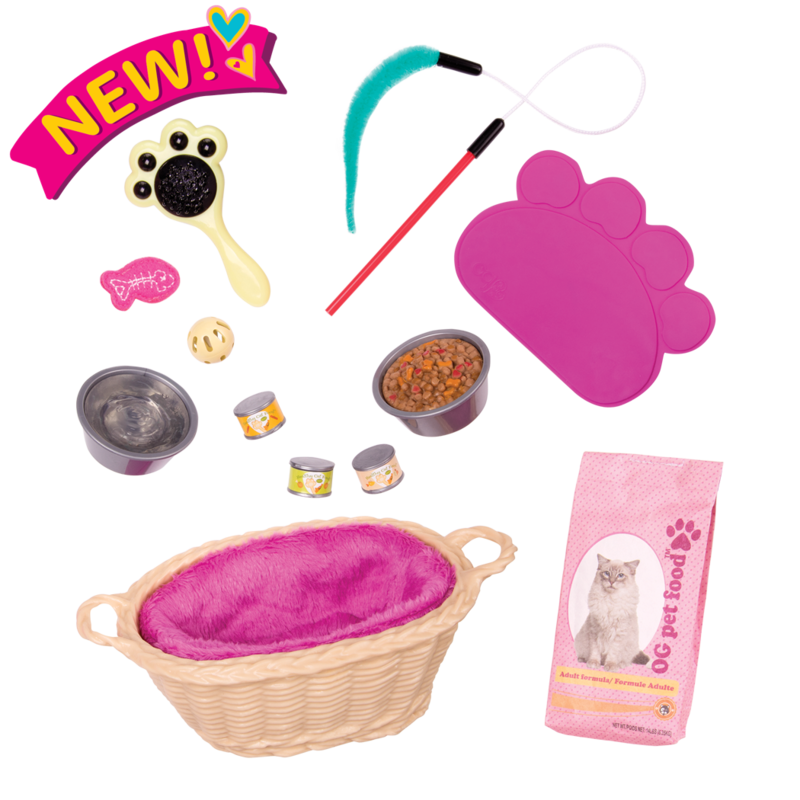 Includes horse, saddle blanket, bridle harness and more! The doll pictured is Noa.